Stef Calcraft has been named executive chairman of Dentsu Aegis Network UK & Ireland in what the ad group claimed is a "transformational appointment". Calcraft, a co-founder of creative agency Mother, is a surprise choice to run the UK & Ireland operation because he has worked chiefly in the independent sector and has relatively little experience of media, although he sat on the board of planning agency Naked Communications. He is effectively taking the place of Tracy De Groose, who stepped down as UK & Ireland chief executive earlier this month after three-and-a-half years. Calcraft will start in the newly-created role in January 2018 and Japanese-owned Dentsu Aegis Network will not fill De Groose’s old role. He promised "positive change" at a time when one of the group’s biggest UK clients, the government, has begun a £140m media-buying review and it needs to grow after losing several big brands, including Asda, British Gas and BMW last year. Dentsu Aegis Network said Calcraft "brings an unparalleled breadth of industry experience and an entrepreneurial mindset, spanning all aspects of advertising from brand, creative, media and social and content". The world’s third-biggest media buyer has expanded in recent years by moving into data, mobile, content marketing and social media – chiefly through acquisition – and now employs about 4,500 people in the UK and Ireland. Jerry Buhlmann, the global chief executive of Dentsu Aegis Network, said Calcraft’s "exceptional and unique track record of building globally recognised entrepreneurial businesses in our industry sets him apart as the outstanding candidate". "His energy, drive and outstanding leadership will galvanise a highly talented UK & Ireland business to further success," Buhlmann added. Calcraft said: "We are entering a uniquely exciting new age for brands where value creation through direct audience building will only be limited by our collective imagination, inventiveness and intimacy with the world around us. Those that lean forward will thrive like never before. "The vision, ambition and clarity of purpose of Dentsu Aegis is defining in its simplicity and positivity, which attracted me immediately. With the breadth of talent and resource singularly focused on creating positive change, I am delighted to be joining the team." He will report to Giulio Malegori, chief executive of Dentsu Aegis Network EMEA. Calcraft co-founded Mother in 1996 and the agency won a reputation for clever work such as ITV Digital’s knitted "Monkey" and Pimms’ "Pimms O’Clock" campaign. He sold his 25% stake back to the agency in 2012 for £6m and left in 2015. He also sat on the board of Naked, another pioneering independent agency, from its launch in 2000 until 2008. Calcraft recalled in an article for Campaign earlier this year that "the defining ‘Naked truth’ that ‘the world of communication is far bigger than the world of advertising’ was ground-breaking in the noughties". He continued: "Add universal creative and production brilliance to applied data analytics, plus the ability to tell people things they won't hear anywhere else, and you have the blueprint for brands and creative companies to thrive today." 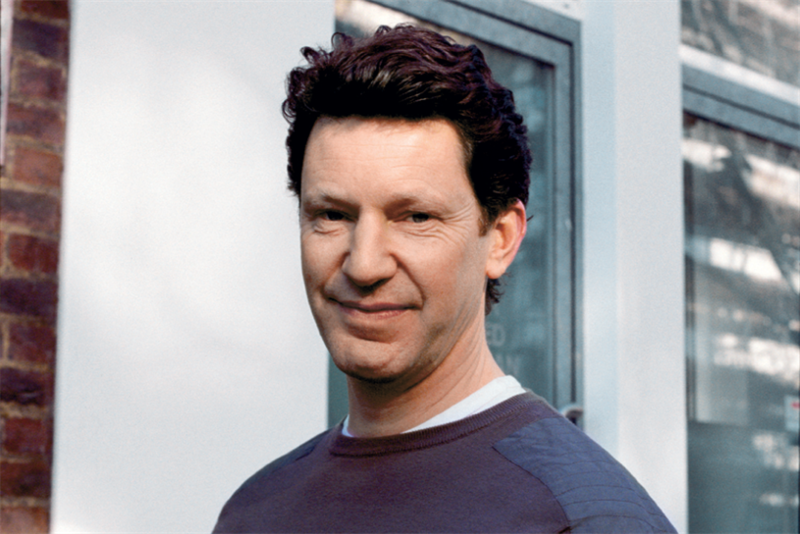 Calcraft, 54, began his career on the client side at Unilever, before working at Bartle Bogle Hegarty and Leo Burnett. What does it take to be a media agency leader now?